We were asked by Framework Productions to make a Sea Urchin for use as a prop in one of their productions. Easy enough you might think. 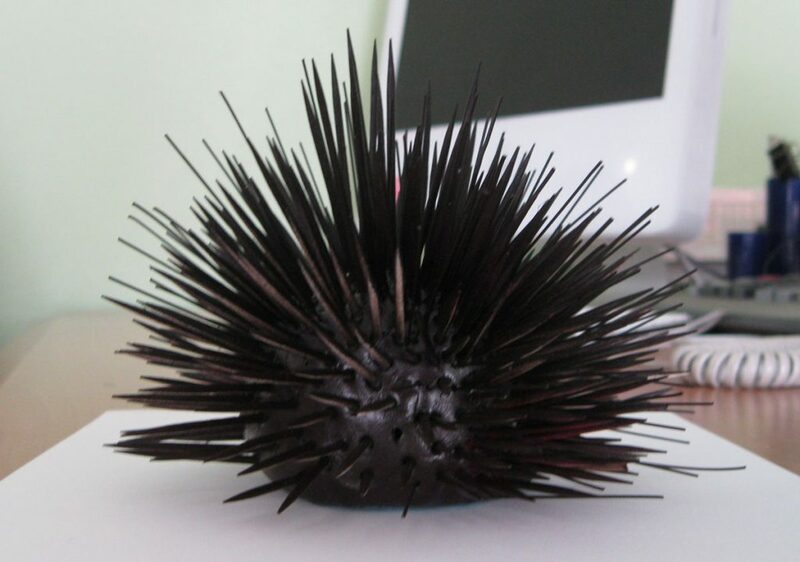 Black with spikes- evil looking things and excruciatingly painful underfoot. Making one that looks like the real thing can be almost as painful. Close-up, there are features which if not taken into account, will mean it looks like the old canapé favourite – grapefruit studded with cheese on sticks but without the cheese. It took several iterations to get it right and in context was hard to tell the difference. This entry was posted in Case Studies, Film & TV Case Studies. Bookmark the permalink.